We all know malware(virus and spywares) is out there. Malware includes applications that spy on you(spywares), corrupt your data, destroy your hard drive(virus) or give control of your machine(trojan) to someone thousands of miles away. Since there are a lot of examples of malware in the computer world, it may only be a matter of time before you become the victim of a malware attack. Don't panic, and also, don't assume that you need to wipe your computer clean and start from scratch. Computer Repairs Guildford can often remove the viruses or spywares without having to erase everything else. Isn't it that Your personal computer or Laptop is unquestionably at a threat of receiving a computer virus infection. A computer virus propagates itself from one host computer to your computer by means of networks, Internet or removal media like CD, DVD and USB drives. 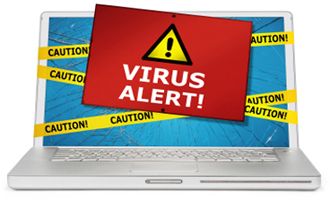 A certain amount of viruses start negatively affecting your computer or laptop the moment their program code is executed while others remain dormant until certain conditions trigger your laptop or computer to completely on its own execute their threatening program codes.